يقع مانلي سيرف سايد هوليداي أبارتمنتس في Manly, سيدني, هو خيار شائع بين المسافرين. يمكن من هنا للضيوف الاستمتاع بسهولة الوصول إلى كل ما تقدمه هذه المدينة النابضة بالحياة. كما يمكن الوصول بسهولة إلى مانلي, مانلي اكويرم, دايف سنتر مانلي. إن الخدمات الممتازة وحسن الضيافة العالي في مانلي سيرف سايد هوليداي أبارتمنتس تجعل إقامتك تجربة لا تنسى. يمكن الاستمتاع بمجموعة من الخدمات على أعلى المستويات في الفندق كمثل تخزين الأمتعة, صف السيارات, غرفة عائلية, خدمة غسيل الملابس, كونسيرج. لقد جهزت هذه الإقامة الفندقية بعناية فائقة لتوفر مستوى عالي من الراحة. في بعض الغرف يجد النزيل اتصال لاسلكي بالإنترنت, غرف لغير المدخنين, مكيف هواء, مكتب, شرفة/ تراس. يقدم الفندق خدمات رائعة كمثل مسار جولف - ضمن 3 كم, حديقة لمساعدتك على الاسترخاء بعد نهار طويل من النشاط والتجوال في المدينة. يحظى فندق مانلي سيرف سايد هوليداي أبارتمنتس بموقع ممتاز وخدمات يصعب منافستها. يرجى العلم أن مواعيد تسجيل الوصول تبدأ من يوم الاثنين-الجمعة الساعة 02:00 PM. يرجى الاتصال بالمكتب في 96 نورث ستاين بمانلي إذا كنت ستسجل الوصول في يومي السبت والأحد. ساعات عمل المكتب هي من الاثنين إلى الجمعة عند الساعة 09:00 AM- 02:00 PM، ومن السبت إلى الأحد 09:00 AM-12:00 PM. على النزلاء الذين يصلون خارج ساعات عمل المكتب، ينبغي عليهم الاتصال بالعقار مباشرةً للحصول على التوجيهات اللازمة في أوقات العمل. هذا العقار ليس لديه مكتب استقبال يعمل على مدار 24 ساعة، يرجى الاتصال بالمكتب بين الساعة 09:00 AM والساعة 05:00 PM لتسجيل الوصول المتأخر. إذا كنت عند مكتب الاستقبال بعد ساعات العمل، ولم تتمكن من تذكر بيانات دخول مؤسستك/شركتك، يوجد أرقام هواتف جوالة على الباب الأمامي للمدخل. يُرجى ملاحظة أن هذه العقار له مواقع عدة. يجب على النزلاء الاتصال بالعقار قبل الوصول لترتيب تسجيل الوصول. بيانات الاتصال موجودة في تأكيد الحجز. يُطلب من النزلاء الذين يقضون عطلة نهاية الأسبوع في الفندق سحب مبلغ تأميني قيمته 500 AUD من البطاقة الائتمانية. Nice apartment, think might have left money, 200 . Really enjoyed staying here, 3 bedroom unit is a great size for big families, location is great, will stay here again. Loved our stay, staff were lovely & helpful, apartments are beautiful big & clean. 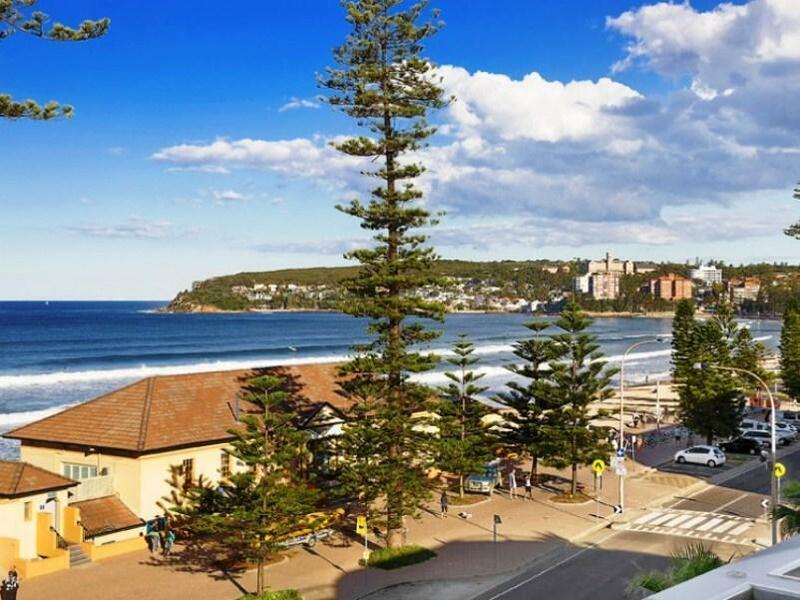 We stayed in the luxury 2 bedroom Bella Vista, beautiful views of the beach & a 5-7min walk to the Corso, 10min walk to the Manly Wharf. Look forward to our next stay. Loved it - lots of room and great facultites - would book here again! Huge Apartment with luxurious appointments. Spacious bedrooms and lovely bathrooms. Only downside was the lack of bathroom and kitchen basics (soap, shampoo, hair dryer, tea and coffee). Otherwise would definitely recommend and use again! We stayed in Greycliffe apartments and had been told there were building works in progress but these would not affect us. On arrival found window locks missing so apartment open to access from scaffolding. The builder reluctantly fixed them but cracked a window pane, then sent a glazier to fix it without asking us, so was quite disruptive. Without the building works it would have been a good place to stay, spacious, comfortable, nice view of beach. Only thing missing was a pool!! It was great to be at Manly Surfside with a nice escape from the city life. The location is just 100 m from the sea and some nice restaurants. No complaints.The staff were very friendly and helpful.The accommodation was perfect. 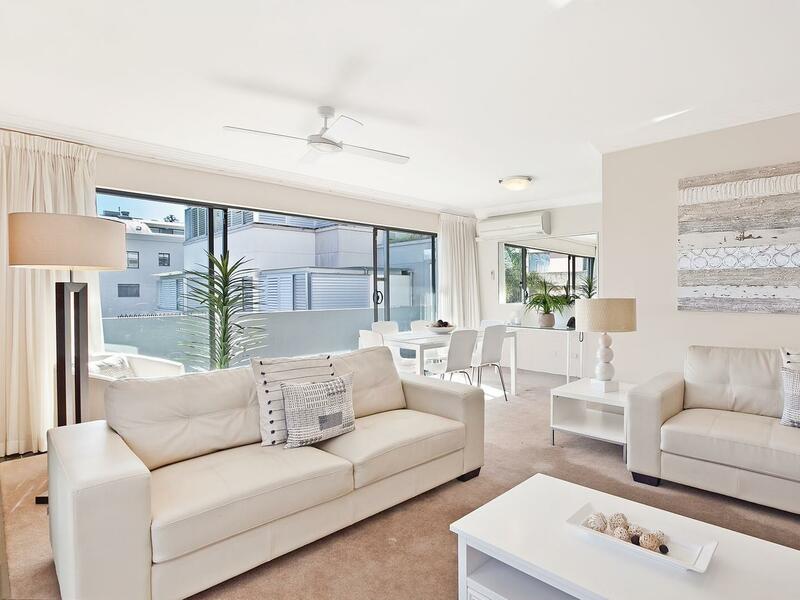 Great value accommodation with a wonderful location and view over the whole of Manly and the beach from our living room. Being on the far left of Manly (as you look at the sea) it was also very easy to access the next sandy bay and beach of Queenscliffe. So great location to walking to two fabulous beaches. The accommodation was basic but clean and functional. Our only complaint was very noisy neighbours in the other flats in the block - talking and playing loud music until 4am wasn't much fun. Booked a double appartment at the Queenscliff site and though superficially attractive, on closer inspection the entire building is shrouded in scaffolding and noisy building work is ongoing throughout the day (Nov 2015). This is already known to the reception staff but not something they deem necessary to share with their customers (other than, "You do know about the building works ?" on being driven to the location). Some complain and get moved (see other reviews); others complain and nothing happens (ourselves included). The appartments come replete with advice on how to deal with noisy neighbours. If you envision arriving jet-lagged, this place is a particular, "no no." One other noteworthy inaccuracy, there is a serviceable convenience store nearby, despite the advice offered to the contrary at the reception. The wifi, offered through a third party, never worked throughout the visit. In summary, suggest its is better to avoid this place, than to contract and complain afterwards, as they demonstrably have no shared service values. "Caveat emptor"
The apartment we've got is far away from Corso, the main area, and the description doesn't match the real room, there was renovation going on, we could hear drooling etc, we complained and the management has changed our booking with a more reasonable price, which turns out ok.
Great location for a family get aways.... we will be back. We were 3 ladies who have been friends for 54 years wanting to have a few days away together -- after finding Manly Surfside Apartments on line we decided to book a 3 bedroom Luxury apartment for 3 nights. We were not disappointed -- the apartment had everything we could wish for, the staff extremely helpfull -- all in all we our stay was extremely enjoyable -- would recommend it to friends & family & would use it again ourselves.